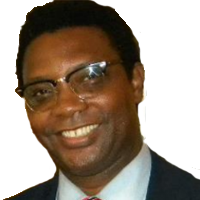 Dr. Wale Idris Ajibade | Institute for Peace and Leadership, Inc.
WALE IDRIS AJIBADE (Wale Idris) is an economist by training and professional experience. He is the founder and Executive Director of African Views, (AV), a nonprofit organization for global African intelligence collaborative framework in social sciences and the humanities. The Organization primarily provides research, reviews, analysis and conducts activities pertinent to the African roles and responsibilities within the universal ecosystem and world cultural harmony. The organization’s research focuses on inter-disciplinary topics within health, educational, environmental and economic fields – connecting the global with the locals facilitating cultural harmony and cooperation for sustainable development solutions. African Views is also a 501(c) (3) charitable organization that has been consultative status with the United Nations Economic and Social Council (ECOSOC) – based on the recognition of its charitable programs. He was elected chairman of the proposed African Diaspora Federal Credit Union, as well as the proposed African Development Mutual-Funds, a campaign that has become successful in the Caribbean after he delivered a speech at the Central Bank on Trinidad and Tobago in 2015. He is currently a partner at the International Trades and Investment Promotion Agency, which connects development funding for socially responsible entrepreneurs with investors. Mr. Wale Idris Ajibade has given speeches at the State department, United Nations, African Union, Colleges, and Universities on issues related to the role of cultures in peace, security, and economic development. He is passionate in his narratives as a writer. He coined the term ‘cultivated dependency’, which he described as “cultivated dependable privileges, principles, and policies created directly or indirectly to uphold indignation, ignorance and impunity anywhere and everywhere in the world.” He has developed and produced programs such as African Health Dialogues, Youth Initiatives, Millennium Development Goals, Green Africa, Cultural Harmony, New Deals, Cultural Exchange Program for Children, and the Anti Violence Against Women Act (AVAWA). The African Health Dialogue organized the Candid assessment of the World response to the Ebola Teleforum, featuring inventors, scientists and medical doctors and pharmaceutical agents. The campaign contributed to the African Union and the US State department agreement to establish and African Center for Disease Control. Wale also spearheaded the Spirit of Peace and Cultural Harmony Conference in New York City, which was the first ever coming together of African Monarchs and Indigenous Chiefs of the Americas. Prior to joining the non-profit sector, he worked as the Director of Research and Marketing for International Investment Advisers (IIA), manager of the Korea International Investment Funds (KIIF) – one of the earliest promoters of the Korean Economy and previously at Citibank Private Bank, Reuters, and S&P. Wale has fifteen years tenure in the financial market industry, and has a scholastic background in Investment Finance (MBA from Columbus University, 2001) and graduate degrees in Philosophy and Economics from the University of Vienna in 1994. He completed a doctoral thesis in Nomological and Epistemological branches of Philosophy in 1998.